Puerto Rico Report is a news website focusing on the political status of Puerto Rico. Haden Interactive built this site in 2012 with designer Tom Hapgood, and this fall — in spite of having a niche topic, being on a budget, and having no full-time workers dedicated to the site — they celebrated their millionth pageview. This thought leadership website has been extremely successful in meeting the owners’ goals. Quick background: Puerto Rico is a territory belonging to the United States, home to about 3.5 million citizens of the U.S. If you didn’t know that, you’re in good company. Puerto Rico tends to be ignored in geography classes. While there are about 5 million people of Puerto Rican heritage living on the mainland, most Americans don’t know that Puerto Rico is a U.S. territory. 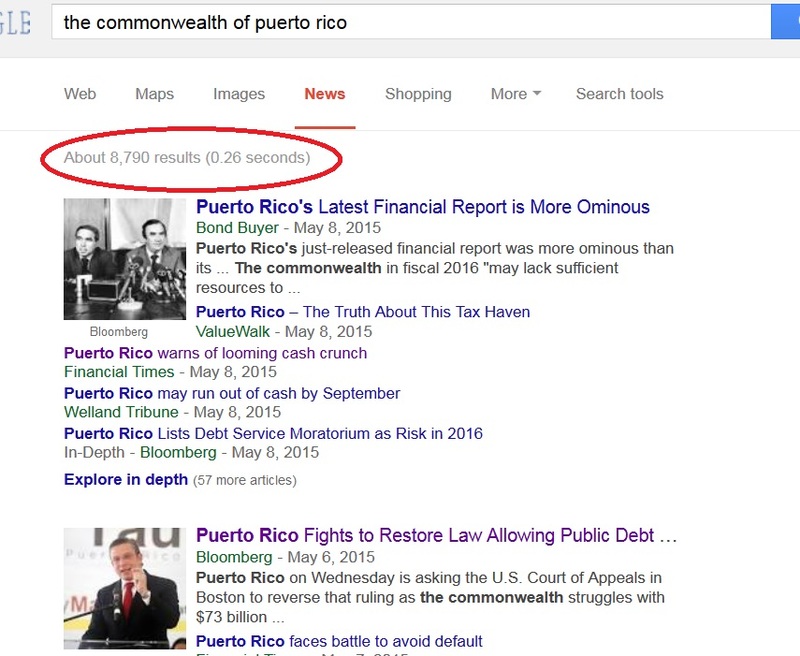 That was one of the reasons the site owners of the Puerto Rico Report wanted to build a thought leadership website. 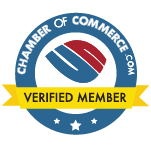 Our goals for the site in the beginning included getting the press and members of the U.S. government more informed. The client wanted to see fewer news reports about “Puerto Rican immigrants,” fewer speeches referring to Puerto Rico as a country, and more understanding of what it means to be a territory. You hear the term “thought leadership” bandied about quite a bit, but in this case, a thought leadership website was exactly what was needed. The site owners had some clear goals for their website, including increasing awareness and knowledge in specific target groups, providing a repository of historic documents on their subject, and creating a reliable and comprehensive source of information on Puerto Rico’s political status. 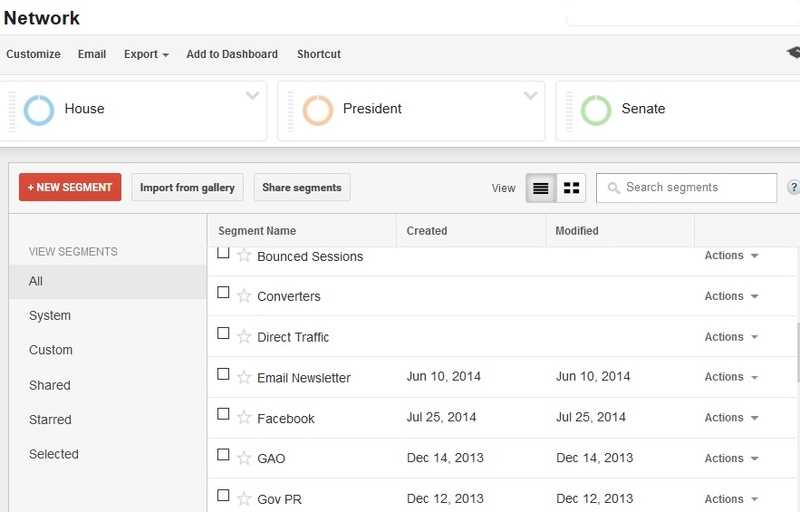 These goals can’t be measured as easily as goals like ecommerce sales or mailing list growth. But they can be measured. We came up with a range of metrics. First, traffic. Traffic increases are rarely the full story, and they’re not always essential goals, but they are a clear indication of progress. The line below shows the trajectory for Puerto Rico Report over its lifetime, and that’s pretty much what we like to see. Organic search traffic is a good indicator of the overall health of a website, and it lasts longer than other types of traffic, but as you can see, it takes some time to get started. When you launch a new website, you will see a handful of organic visitors for a while. Once search engines begin sending you traffic, though, you can expect some momentum. Site owners who give up on SEO after a couple of months pay for the fallow time and never get to experience the harvest. We also tracked visits by news organizations, government offices, and educational institutions, because those visits indicate recognition of the website as a credible source of information. The site receives far higher proportions of visits from these kinds of networks than most websites do. Setting up segments for specific kinds of traffic in the Google Analytics Network report allows us to get quick, consistent data. With quantifiable metrics like these, we could see how our tactics were working to improve results over time. But some things are harder to track. 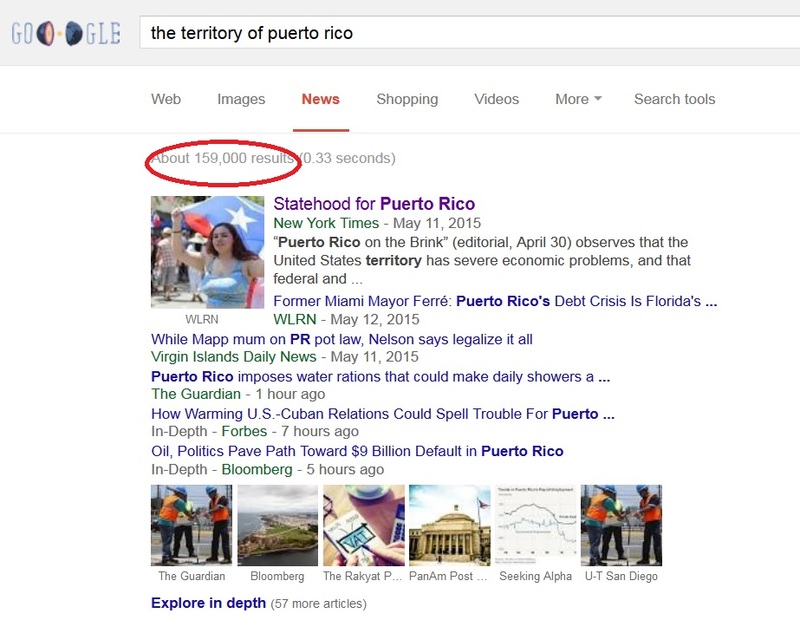 We used Google tools including Google Trends and the Ingram viewer plus social listening tools to track the change as news outlets and then readers began to use “territory” rather than the less accurate “commonwealth” in reference to Puerto Rico. We saw the proportions of Google results for these terms flip. We also tracked sentiment toward the various political status options. These measurements are not reliable enough to be used on their own, but in connection with the harder data, they do show trends. With clear goals including specific target groups and desired actions, we were able to develop a strategy and to identify tactics to move toward those goals. The site owners were open to our input on how to use digital tactics to reach their IRL goals, and we were able to provide the data they needed to make decisions about their online strategy. Haden Interactive provides three blog posts each week and regular social media posting, management of a modest investment in Google Adwords, Facebook and other social media ad campaigns, and site updates as needed to keep the website fresh, current, and standards-compliant. We also provide analytics reports on a quarterly basis, and dive into the analytics and other data sources to answer the site owner’s questions. This client has some special needs which we’re happy to meet, as well — live tweeting Senate hearings, for example, or reaching out to influencers in the community to extend a message. 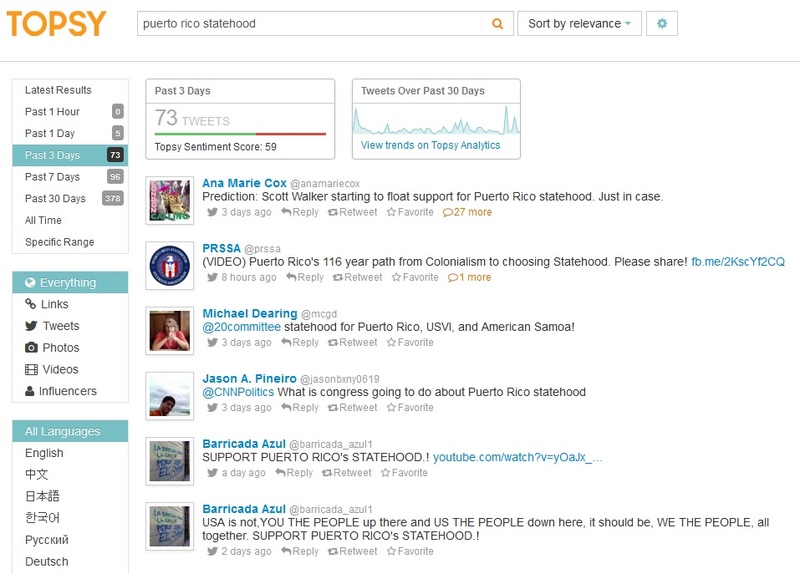 With just over one thousand Twitter followers, Puerto Rico Report’s tweets regularly show a reach of 50,000 to 70,000. The client sends post ideas, writes some posts at their convenience, and regularly works with us to determine the best strategy to reach new goals. They also provide news items (including information which has not been published yet, or which has not been published in English) which allow the Puerto Rico Report to scoop mainland news sources regularly. The combination of steady activity and highly authoritative insider content puts Puerto Rico Report in a strong position. The first year the website was live, we had one visit from the Office of the President. Now we often have several visits a week — sometimes several in one day. I would like to imagine President Obama relaxing with a cup of coffee and enjoying our blog posts, but we know there are people paid to follow up Google alerts and check out news sources. They’re not coming to all the sites we care for, I promise you. They are going to read Puerto Rico Report, along with members of the House and Senate, dozens of government agencies, staffers from major news sites, and visitors from major colleges and universities around the world. That didn’t happen overnight. But with persistent, strategic work, it happened more quickly than we expected. If your website is not doing what you had hoped it would, think about this as you start your next strategic planning session. 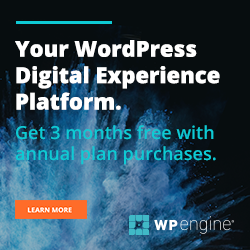 As this year draws to a close, will you look back and see that you’re well into a strong strategic plan for your online presence, or will you still be trying tips and tricks you read about, spending a couple of weeks on one campaign and then trying another, and wishing SEO worked for you the way it works for other organizations? Previous: Previous post: Are You Ready for Cyber Monday?